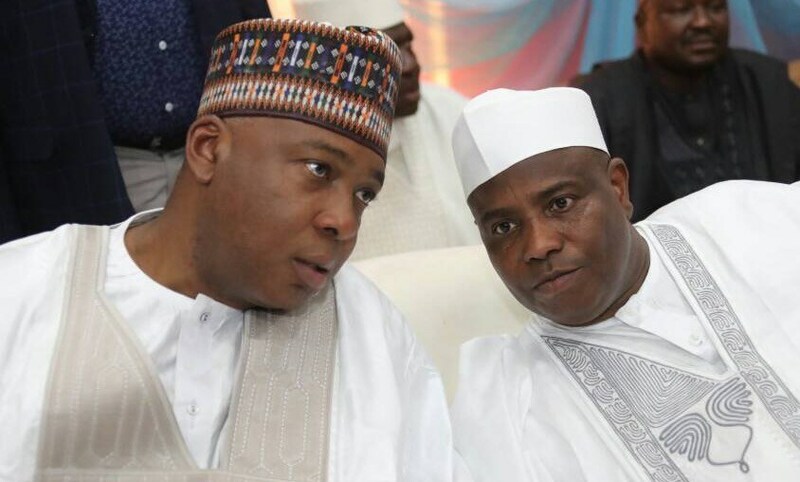 Governor Aminu Tambuwal of Sokoto has formally joined the race for the office of the President as he picked his nomination form for the Presidential ticket of the People’s Democratic Party (PDP) on Thursday. Tambuwal who spoke with newsmen at the PDP National Secretariat in Abuja, shortly after picking the form, expressed confidence that the PDP leaders would conduct credible elections, if the aspirants did not go for consensus candidate. Speaking on the issue of herdsmen/farmers crisis, the former Speaker of House of Representatives noted that it was a major security concern to every Nigerian, promising that his administration will look at the issue very comprehensively and proffer solution to it. “I believe it is an ‎issue every responsible government must address and I assure you we can take it head on and resolve it,” he said. Senate President, Dr. Bukola Saraki has formally declared his intention to run for the office of the President in the 2019 Presidential elections. Nobel laureate, Wole Soyinka, has joined in the criticism of President Muhammadu Buhari’s recent remarks that his government is willing to jettison the rule of law and rights of citizens for national interest. “We have been there before. It should be of mere interest, not despondency, that this latest proclamation of dictatorial recidivism has also been made before an assembly of officers of the law, the Nigerian Bar Association. We expect a robust response from the NBA as part of its conclusions,” he added. The ruling All Progressives Congress (APC) has resolved to adopt the direct primary method for the selection of its presidential candidate, as it agreed that states should adopt the mode of primary that best suits their peculiarities from among the methods specified in the party’s constitution. This formed part of the resolutions reached by the party at its National Executive Committee (NEC) meeting held in Abuja on Thursday, while the costs of nomination and expression of interest forms was referred to the party’s NWC to decide but that it was generally agreed that it should be reasonable. “The constitution of the party provides for either direct, indirect or consensus but for the presidential election we all agreed that we will adopt direct primaries for the presidential election,” Governor Simon Lalong of Plateau said while briefing newsmen at the end of the meeting. In a statement by the Senior Special Assistant on Media and Publicity, Garba Shehu, in Abuja on Thursday, before the formal opening of the FOCAC Summit, President Buhari in his capacity as current Chair of ECOWAS, would deliver remarks at the High-Level Dialogue between Chinese and African leaders, business representatives and African entrepreneurs. President Buhari is also expected to hold bilateral meetings with President Xi Jinping and Prime Minister Li Keqiang to discuss infrastructure financing for strategic projects in Nigeria.